How to set the device connected to the server ? 1), Turn on gprs function by sending command "gprs123456"
2),Set apn by sending command "apn123456 content" , "apnuser123456 content" ,"apnpassword123456 content" , pls note the content come from sim card carrier , there are small blank after 123456 in very command. ❤ Overspeed Alarm:When the vehicle is out of the set speed, the gps tracker will send the over-speed alarm message to the phone. Remind you to drive safely. ❤ Geo Fence:When the vehicle is out of the set range, it will send an alarm message to the phone. Remind you beyond the limits. ❤ Web version tracking positioning platform, free PC version tracking software is installed. IOS and Android app, allows user to track the vehicle on mobile devices. ❤ Unique waterproof design,never need to worry about the rainy days. ✿ Electronic fence (Geo-Fence): allows you to set a geo-fence for the device to limit movements within a district. The device sends a message to the authorized number if it violates the district. ✿ Wide range of applications: tracking of lost or stolen children, the elderly and the location of cars, motorcycles, container trucks. 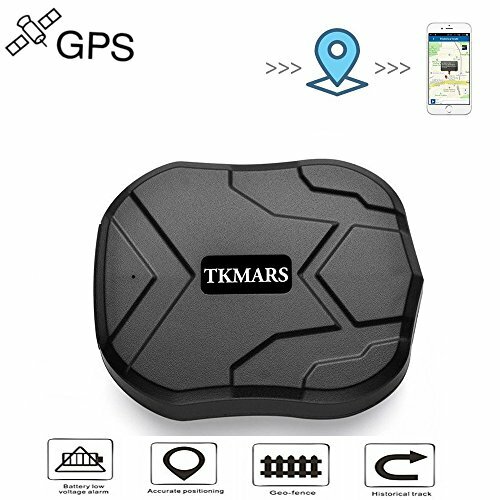 If you have any questions about this product by TKMARS, contact us by completing and submitting the form below. If you are looking for a specif part number, please include it with your message.